Gun ownership carries with it many responsibilities. The responsibility to be safe, be effective, and always know the status and condition of your firearms to prevent tragedy. A significant part of the latter is ensuring the physical security of the gun against theft or simply unauthorized users. The easiest way to do that is by having the gun on your body, either slung or holstered, or in your hands ready to do its job. Of course, that bromide is not a practical solution at any rate: who can truly keep a gun on them 24/7 for all 365 days of the year. And what about your other guns? You only have the two arms! No, for all the times we don’t have our gun or guns on our person, we will rely on secure storage devices and techniques to ensure physical security. In this article we’ll be evaluating and recommending a variety of safes, locks, containers and secret-squirrel techniques to ensure your guns stay out of the wrong hands. When I use the term secure storage, I am referring to any technique or device used to keep a firearm from immediately falling into the wrong hands. That means different things to different folks, depending on their desired outcome. For some, they may only be concerned with keeping honest people honest; keeping the gun from being discovered or operated by a nosy relative, child, guest, etc. 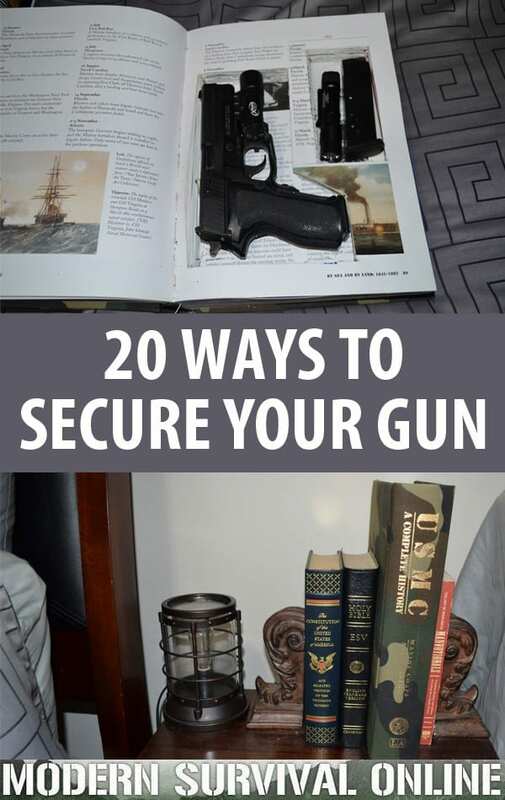 Others will want their guns kept physically secured inside a container or room that has been hardened in some way. Some folks may be completely content with having the guns cleverly hidden from casual searches, and more or less accessible for their own use. None of these are explicitly wrong, and even diehard proponents of heavy-duty safes, vaults and containers who pillory a good hiding spot as not secure forget that not artifact of man is truly, 100% unbreachable; the strongest, best engineered fortress, to say nothing of a mere container, can and will be breached given enough time and effort. Secure storage containers and safes only buy us time and form a deterrent against unauthorized access. Time enough, we hope, that we can either intervene or our sticky-fingered burglar will feel their chances of being caught rising with every minute that they fiddle with your locking device/container/safe/whatever. Deterrent enough, we hope, that they will abandon their plan to get their grubby paws on our guns at all, or even better, never even know they are there. The best defense is naturally intervention, you, the owner, stopping and if necessary driving off the interloper, be they “innocent” but nosy Cousin Ted, or Griff the drifting burglar. But there are no guarantees. Most of us will not stay at home guarding around the clock our patch and belongings as a dragon would its hoard of gold. So with that in mind it is essential that you carefully weigh you desired level of security against how accessible you need a particular firearm. The constant dilemma when discussing storage is the balancing act between speed of access and security of the gun. There is no universal standard, and this is a decision that is entirely up to you, but one that must be decided based on reality. Faster is always better, but speed always comes with a price in this case: you can have a loaded gun ready to fire, and kept off your body in a nightstand drawer, but security is very low or non-existent. You can have a loaded gun close at hand and highly secure against unauthorized use, but it is necessarily on your person; you are sacrificing comfort and convenience in this case. Clever owners will be quick to say they will simply keep their loaded gun in a quick-open safe by the bed, one with a fingerprint-scanning biometric lock. Of course, fast, and secure, but far from sure: even the best examples of that technology are fiddly and failure prone. An alternative would be a purely mechanical equivalent safe: sure, secure, but far from swift. This is not the rambling of an unrepentant contrarian, but an honest reminder that there is no one-solution-to-rule-them-all. You will always be sacrificing something in the balance. The trick is simply to sacrifice the least important element for your situation. Consider what impact living alone, versus with family members would have, especially children. Do you have company over often? If yes, are they familiar with guns and understand what you are about? If you decide to keep guns stashed in various places throughout your house to be picked up when and if needed, how are they secured? Do the methods differ, or are they uniform? All of this and more must be given careful thought. The following list with recommendations is sure to get your own creativity moving on storing your own firearms. Understand that not all of these methods will be appealing or even viable for you depending on where and how you live. That’s ok. Take lessons from all of them and use what methods you can. Also this list is in no particular order of preference. It is not a ranking of methodology, but I will specify in each section which variations may be preferable as a rule to others like it, if applicable. Secure Containers: Safes, Vaults, Boxes, Etc. The default option for many gun owners desiring a place to put their guns under lock and key. Safes, strongboxes and the like come in all manner of shapes and sizes, vary greatly in sturdiness and make use of all kinds of locking systems. Depending on how many guns you need stashed and in what condition, your solution may take the form of a huge 800lb. behemoth with a traditional dial lock or a small, single pistol strongbox with an electronic fingerprint scanner or keypad. Large safes obviously require more planning and forethought to emplace and secure, and may or may not be quick to open. A tip: traditional dial locks are too error-prone and slow, especially under stress to truly consider at all for rapid access, and even electronic keypads can be tough to punch in quickly at midnight with an unknown number of intruders breaking in to your house. A smaller quick access type safe is often just the ticket for keeping a gun close at hand, loaded and secure against unauthorized users, but these small, comparatively lightweight strongboxes can obviously be broken off their moorings and carted away entirely. Even so, these are often the choice for folks with children, nosy or untrained family members, or other unauthorized visitors. Take care when selecting a smaller quick-access strongbox that you do your due diligence before purchasing: some makes are notorious for poor QC and latch failure, meaning that even with correct code entry or sensor-recognition your firearm may remain closed inside. On the subject of fingerprint scanning tech, while undeniably attractive and cool, it is my opinion such tech is not quite ready for prime time. I advocate sticking with a simple, heavy duty steel box with a 4 or 5 digit mechanical simplex lock. A few good options in each category are below. Concealment Furniture: Shelves, Tables, Clocks, Oh My! 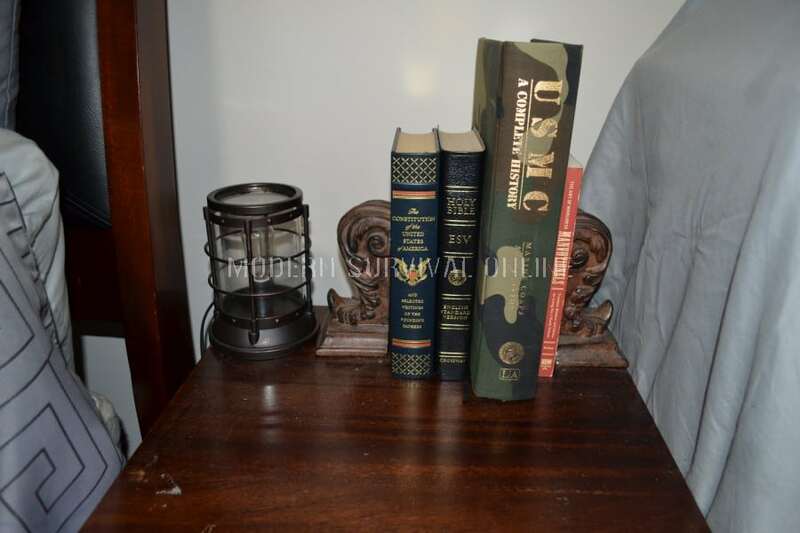 A newly popular though not newly commercialized avenue of secure concealment is specialty décor, shelving and other household appointments that are specially designed with invisible (or nearly so) compartments and controls to hide a gun in plain sight. 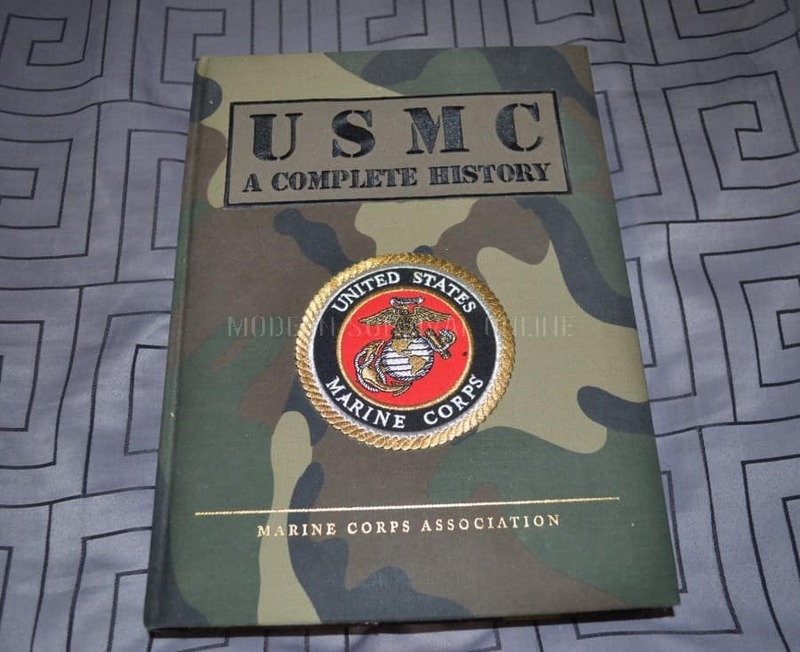 These can be of special interest to some users since most folks, and many crooks, will not think to check a plain mantle clock, coffee table or floating shelf for weapons and other valuables. Some units even go so far as appearing to be a cheaper wall mounted mirror, which will slide or swing open to allow access to a metal locker within. These can be a great in between solution between the sturdy but obvious security of a safe and the non-hardened but hard-to-find classic hiding spot. The key to utilizing these well and still maintaining a degree of readiness is all about the placement. How do you move about your home? What are your habits like? A gun in a false clock inside your den that you are never in is not a great idea. That brings up their biggest flaw: these solutions are generally at their best for people who want to keep one or two guns in a ready to fire state for fast access. They are far from ideal for general storage of a number of guns, and since most varieties utilize wood or plastic construction and necessarily low-profile or invisible locking systems they are easily broken into once discovered or suspected. Nonetheless, they are a valuable option for many, and one of the only real “in-between” options going from safes to hiding places. If you have little fear of family or visitors stumbling coming by, or are committed to really keeping your guns out of the way, hiding places can be employed to good effect for security and quick access, even when storing a large quantity of guns. The trick, should you desire quick access, is choosing a hiding place that will be missed when searched for in a rough fashion, be overlooked if it is discovered, and yet still remain easily accessible if you know where it is. This is no small feat, and an art form in itself. The real challenge is that places where your average thief will probably not look for valuables are the mundane things that people in the home interact with. You’ll see what I mean on the list of ideas below. Remember: the choice of whether or not to keep your guns loaded when hidden is a personal one, but no matter where you live and what the laws say about any potential negligence on your part should your guns fall into the hands of the uninitiated or criminal, you are ethically responsible for what happens with it. Yes, some things cannot be avoided, or helped, no matter how careful, diligent or prepared you are. Nonetheless, you should act as-if someone is looking for your guns. They may yet be. Concealed in a wall or floor vent/register. Hidden in an appropriate empty box in your pantry or cabinets. Hanging inside a shirt or coat in the closet. Behind/inside a false wall or compartment in a closet or access box. These are just a few ideas to get your brain-storming. Remember what I said about the conundrum of picking hiding spots that would thwart burglars and occupants in the home? Now you see why. Give it careful thought and choose accordingly, lest you get your pistol sent through the washing machine! Secure storage is within the grasp of any gun owner, in any situation, even if your budget is close to zero or even nil. What matters is that you take the precaution and put in the work and thought necessary to keep your guns from the hands of those that shouldn’t have them and in doing so keep them doing their job: in your hands, keeping you, hearth and family safe.